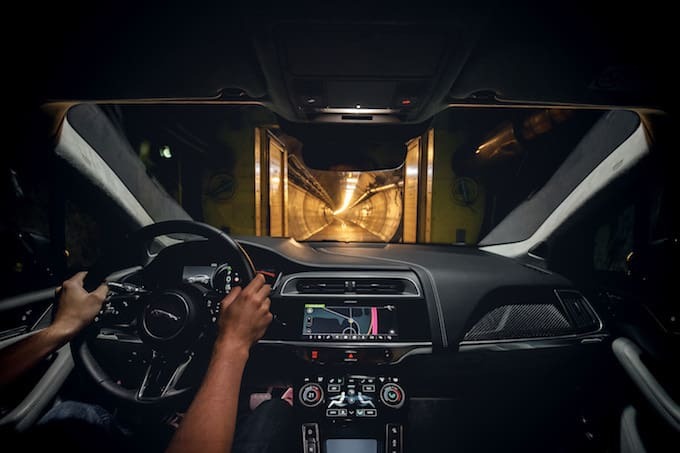 The Jaguar I-PACE has demonstrated its real-world usability by driving 229 miles (369km) from London to Brussels through the Channel Tunnel on a single charge. The all-electric performance SUV began its intercity trip on London’s South Bank, with its 90kWh battery fully charged, before heading to the Channel Tunnel terminal at Folkestone. 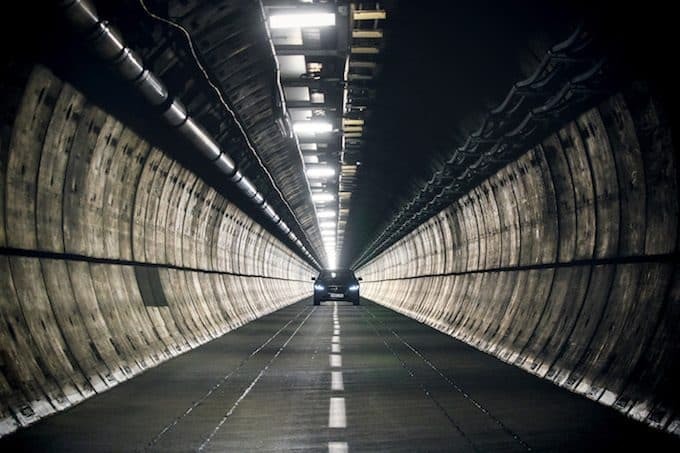 But unlike the 80 million vehicles that have made the crossing by train since the Channel Tunnel opened, the I-PACE traveled the 50km through the world’s longest undersea tunnel using its own power. After emerging into the Calais sunshine from the service tunnel which runs between the two rail tunnels, Stephen Boulter, the Jaguar engineer behind the wheel, headed east and arrived at the historic Mons Des Arts in central Brussels with eight percent battery charge still in reserve. We know customers won’t compromise on everyday usability so we engineered our electric performance SUV to deliver outstanding real-world range. By driving the 229 miles (369km) from London to Brussels on a single charge – and arriving with plenty of range left – we’ve demonstrated how comfortably it deals with long-distance journeys. To ensure that drivers get the most from each charge, the I-PACE is packed with technologies to optimize energy efficiency. Before the journey begins, pre-conditioning can automatically heat or cool the battery to reach its ideal operating temperature and set the cabin to the desired temperature. Using power from the grid to do this instead of drawing current from the battery is more efficient and maximizes range. The I-PACE’s state-of-the-art 90kWh Lithium-ion battery offers sports car performance of 0-60mph in 4.5 seconds alongside the practicality of a 292-mile range (WLTP cycle) and 0-80 percent charging time of 40 minutes (100kW DC). Home charging with an AC wall box (7kW) will achieve the same state of charge in just over ten hours – ideal for overnight charging. The instrument cluster can show how much energy certain systems, such as climate control, are using, and how much range could be gained by switching them off. If equipped with four-zone climate control, the Smart Climate feature uses the restraint system’s sensors to determine how many people are in the vehicle and only heat or cool the area around each of them, maintaining comfort while minimizing energy consumption.